A customer has sent an enquiry for your venue and it's time to make contact! 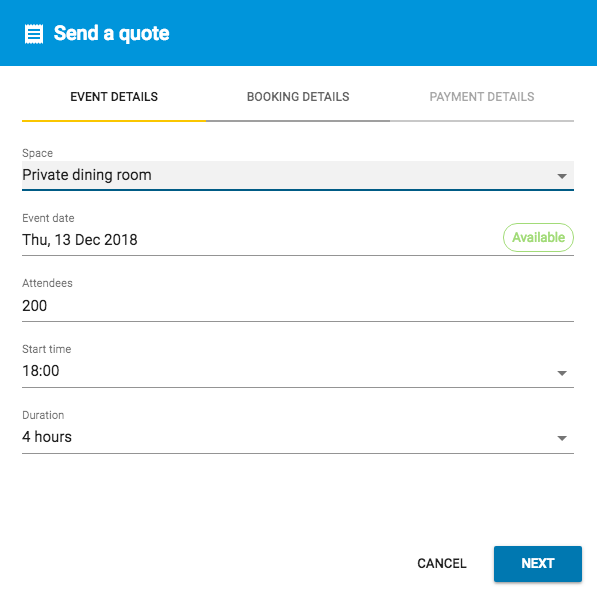 In three quick steps, you can send a personalised event quote to the customer to secure the booking as soon as possible. 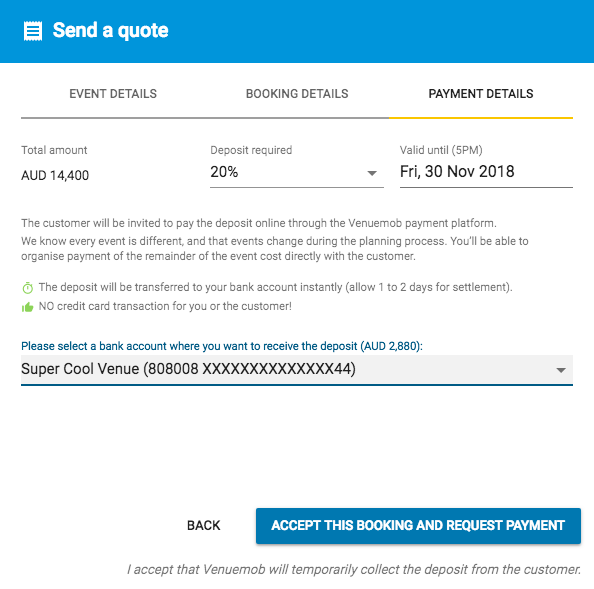 The fully customisable quote feature in Venuemob Manager will allow you to set: the basic details of what space, what time, what date, how many people and duration (1), the details and price breakdown of the quote (including food, beverages and use of space) (2), and finally, the deposit required, its expiry date and the bank account to which you'd like to receive your deposit (3). Click on the enquiry received in your Venuemob Manager account. Check the details of the enquiry, then click on the + symbol next to Quotes in the righthand toolbar. The space, date, attendee, start time and duration details will be pre-filled to match the client's initial enquiry. You are able to edit these if necessary. Please notify the customer of any changes to their enquiry in the message section . Attach any function PDFs, floorplans or contracts for the customer. Fill in the details of the quote (price for the use of space, food, drinks etc). Add a message to the customer. Fill in all the remaining details (total amount, deposit etc). Nominate or add a bank account for the deposit. Once the quote is received, the customer can choose to accept, pay the deposit and lock in their date. If the customer chooses to decline the quote, they'll need to provide a reason why, to be sent back to you. You can then adjust the quote if necessary, or simply message or call the customer to discuss in detail. 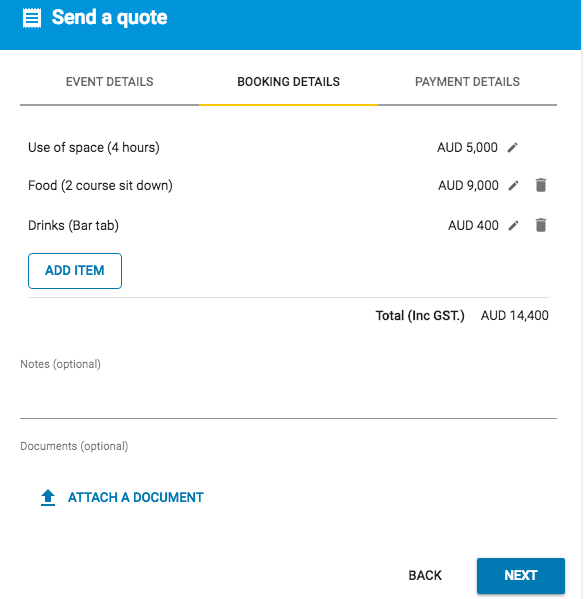 The quote feature has a number of great benefits, including allowing venues to create customised quotes within Venuemob Manager, accelerating the enquiry-to-booking process. Want to make the process even quicker? Ensure you're getting qualified leads by providing customers with pricing information before they send an enquiry. What are the benefits of sending direct quotes?